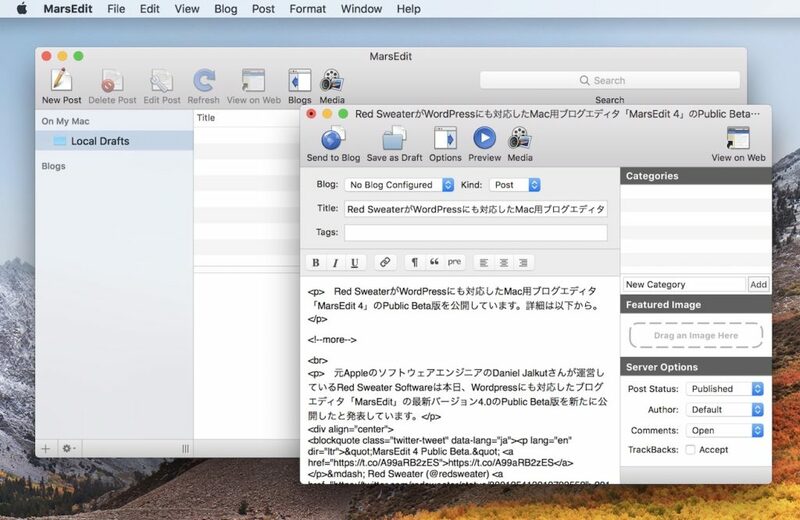 Red Sweater、WordPressにも対応したMac用ブログエディタ「MarsEdit 4」のPublic Beta版を公開。 | AAPL Ch. The good news? MarsEdit 4 is finally shaping up. I plan to release the update later this year.